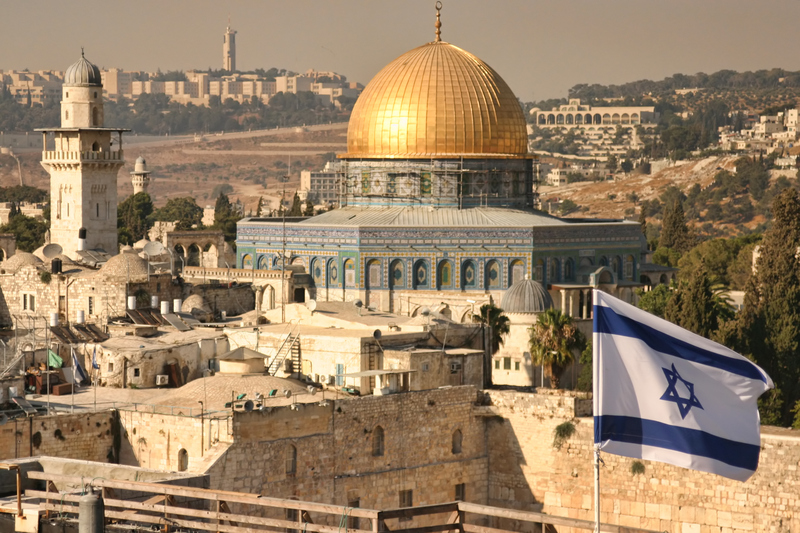 On April 19, the State of Israel will have been an independent nation for 70 years. Regardless of how you feel about every action of its government, there are many things to celebrate about its existence and many reasons to visit, if only by armchair travel. Though a trip is not as costly as one might think with the existence of many discount airlines. Think of this as an armchair visit to Israel in honor of Independence Day. As your travel agent, I am focusing on a few recent books that evoke a sense of the place and allow the reader a glimpse of what daily life is like, on a variety of levels. Evocation of the place is the guiding principle here. There are plenty of other general reading lists, like the one from the Miami Federation, writer Erika Dreifus or from the Jewish Book Council. When most people plan a visit to Israel, they go to Jerusalem, Tel Aviv, Masada and the Dead Sea. Travelers don’t always think of Haifa and the North as worth a visit, so we will start there to find out why to go. Every city should be so lucky to have a native child who loves it with the intensity and wonder of a child and the skill and sophistication of a grown-up. Nili Gold’s new memoir Haifa: City of Steps discusses both architectural landmarks in the city and the literary works which immortalize these places with consummate adult ability, as well as conjuring aspects of her parents’ lives and pasts she could not have understood as a child but remembers from that awe-filled perspective. The book is organized around five particular places. It discusses the architecture and the architects of these spots, as well as some of their clients and the mainly positive interactions between Jews and Arabs. Once Gold has established physical features of the place, she discusses literature that takes place there. The book is special since Gold has both her childhood emotions about the place and memories of her family and friends. Gold’s mother’s maiden name is Preminger and the payoff is that director Otto Preminger is a cousin who she meets when he comes to shoot the Leon Uris novel Exodus in Haifa and stays at the Zion Hotel. Paul Newman and Eva Marie Saint are there in the flesh! This is but one example of how the author’s interweaving of the personal and the larger story of the city work well to both humanize a large subject and to speak of what Haifa meant in terms of the larger project of the nascent state of Israel she was born alongside of. Gold is Professor of Hebrew Literature at the University of Pennsylvania and the author of two previous books on Yehuda Amichai, whose years in Haifa as a young man she details adroitly here. Gold’s skill as a researcher enables her to bring details of both the physical built spaces and the imagined literary ones to a vivid text. Her writing enables a reader, not just to see the flat map, but to breath the air that she, the builders, and the poets partook of. The city of Haifa is fortunate to have a native daughter like Gold to bring so many details of it to the page in this unique and exquisitely written book. Tel Aviv is a city that does not appear to have an underside. Yet it does– and there are a number of writers who are ably equipped to chronicle it. Tel Aviv Noir is an anthology cordoned into sections by the neighborhoods it discusses. Though the theme is crime fiction (as this is part of a series that has locales around the world), this book is really an opportunity for the editors Etgar Keret and Assaf Gavron to showcase a number of fantastic younger Israeli writers, not all of whom have been widely translated yet, but deserve to be. What works well about Tel Aviv Noir is both the variety of literary voices and the ways in which they challenge what readers may think they know about the city. From a completely different perspective is a recent book that invokes daily life in Jerusalem through the lens of a doctor healing its varied residents. This Narrow Place was written by Elisha Waldman, a pediatric oncologist who practiced at Hadassah Hospital in Jerusalem for a number of years. Waldman experiences every sector of the population in his practice – none are spared the heartbreak of dying children. With the city as backdrop and presence, Waldman discusses the patients he sees and how their families cope with their ill children. He writes about the first time he was with a patient as she died and the experience of participating with an Israeli Arab nurse in washing the body of a fourteen year old who has died of sarcoma. Though the subject of the book is the tragedy of children with cancer, Waldman’s compassion and humanity, as well as his lucid prose, ensure that the book is not depressing. Like the city where it is set, it remains full of a clear-headed idealism that enables a reader to attain a large measure of empathy and admiration for those he treats, as well as the physician himself. I do want to mention briefly a number of other favorite books that make you feel you are in Jerusalem (though the Jewish Book Council has a good list too). I too have written a novel that is set there, so have very much have enjoyed reading what many other writers have to say. Start with any of the works by Nobel Prize winner S.Y. Agnon that are set in the city, Amos Oz’s splendid memoir, A Tale of Love and Darkness, or the many books by the late Aharon Appelfeld who lived in Jerusalem for many years. On the American side, I recommend Ruchama King Feuerman’s tales of Americans in the city(though other characters people these books too) in Seven Blessings and In the Courtyard of the Kabbalist and the Jerusalem sections of Tova Reich’s very funny satire One Hundred Philistine Foreskins called “a feminist novel like no other” by Cynthia Ozick. For a different genre, try the mystery novels by the late Batya Gur set in Jerusalem or the fast paced, yet still literary novel, Damascus Gate, by the late Robert Stone. I will conclude with the Poems of Jerusalem by Yehuda Amichai, photos by Aliza Auerbach which both invoke the setting and fill the eye with imagery. It is to be hoped that all these works will keep any reader engaged till she or he saves enough for the next physical trip!